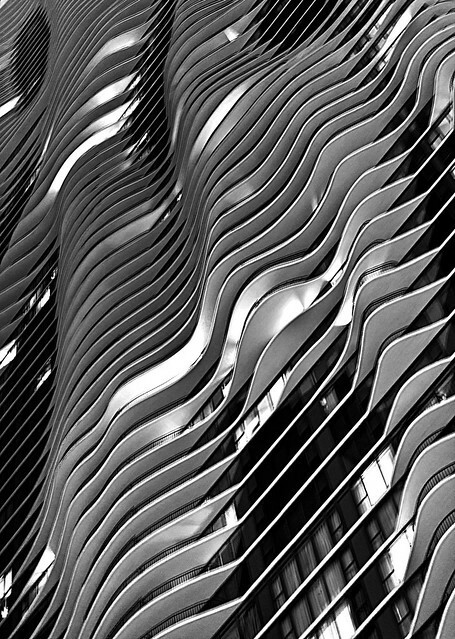 The Aqua Building, downtown Chicago, IL. Now most of us who partake in Photography are trying to get their name out there. We have Flickr Accounts, Google + accounts, Facebook fanpages, etc. But the one spot we all know we really need is a personal website. I have had one for a while, which many of you seen, or in fact is how you got to this blog. Now I change it pretty often right now, trying to make it less cluttered, less navigation and just easier to see my work, and easy for my clients to get to see their photographs. I am in the midst of one of these changes now. The front page has changed and it has become ‘cleaner.’ I have removed some of my old pages that served no purpose other than just more wasted space. Everything you can do to your site to make it more user friendly can help in this business. The reason we build these sites is to show off our work, so make it show it off, not brag about you. Less is more. Show your great stuff, not your good stuff. But make sure it represents you as an artist. – First issue is where to host it. I use SmugMug because it lets me customize the site plus it sets up the ability to print right from your site for customers. Cutting out the hassle of the in between. But doing this you have to have some knowledge on webdesign. To really customize it, you have to add code and manipulate code. You can hire a webdesign team to do it for you, they usually offer hosting as well, but that can add up real quick and when you are starting out I know you are trying to cut down on spending. So search your options, web design is so common now that if you don’t know much about, a friend or family member may. – Second thing that needs to be kept in mind is how the site should look, especially your homepage. This is your statement piece, your introduction to your work. That is why myself and many other photographers go with a slideshow to show off more than one piece of work. But keep it to just a few pieces, you don’t need to put 100 pictures in a slideshow on the front page. Now what I did was an odd crop size of my slideshow to keep some mystery to the images so the viewer wants to dive deeper into the site. Keep it creative but keep it simple, you don’t want it to take forever to load, and you don’t need your life story on the front page. – Site layout/navigation is next. What pages do you need? Do you have a blog to incorporate? Some basic pages to include and I think are necessary is a Portfolio and Contact page. The portfolio page is your spot to show off your best works. Keep it simple, and if you shoot different topics, do a page for each so people can look at what they want – wedding, landscape, commercial, etc. The contact page is essential as well, you want clients, this is how they get a hold of you. Do a form so it is easy for them to contact you. There are many spots to get these forms and the code like FoxyForm. They worry about the emails sent to you and you can custom build your form there and just paste the code where you want it in your site. – Keep it updated. Update when you take a photograph you think should be on there. Make it so people want to come back, that is why I think blogging is important. It gives you a place to show off your work like engagement, wedding, and lifestyle sessions (ask your clients permission first!). This is my short (but wordy) intro to web design. What are your thoughts? Feel free to ask any questions on my approach, tips, etc?